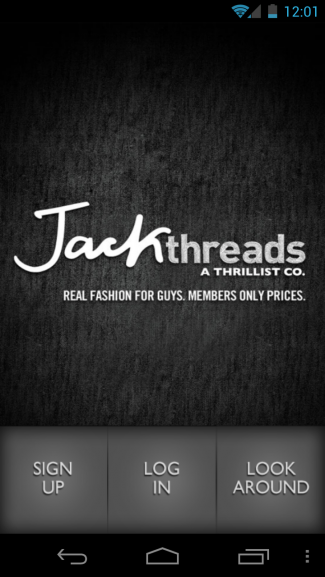 If you are a guy and shop for clothes online, then there is a good chance you have heard of JackThreads. 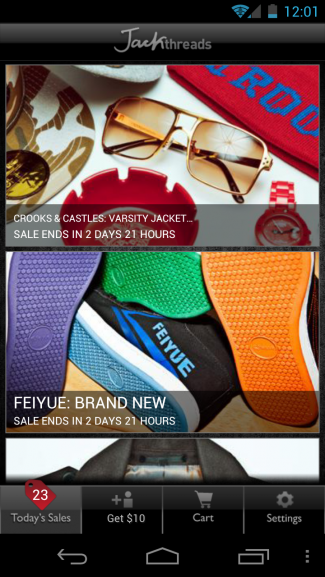 It is a members-only site that carries deals on street-wear and accessories from very well known brands that cater to today’s youth and their sense of fashion. The application was built by Fueled and with it, you are able to browse through all of their deals and basically have the entire site in a very well sorted out interface. To top it all off, if you find something you like you can buy and ship right from your device. Righteous. Motorola in the Midst of Updating Their Software Upgrade Timeline, Which Devices Will See Ice Cream Sandwich and When?